Delivering training and support to people caring for others at the end of their life. LifeCircle delivers professional training which enables organisations to provide support to people caring for others at end of their life. They aim to build carer resilience and provide timely information about the dying process. This end of life support helps to prevent burnout and equips carers to make well-informed decisions without fear. LifeCircle wants us to talk about dying. And it also wants us to understand more precisely what we are talking about – an emotionally sensitive topic area where everyone’s hopes, desires, fears and opinions around dying and death feed perceptions and expectations for the end of life. 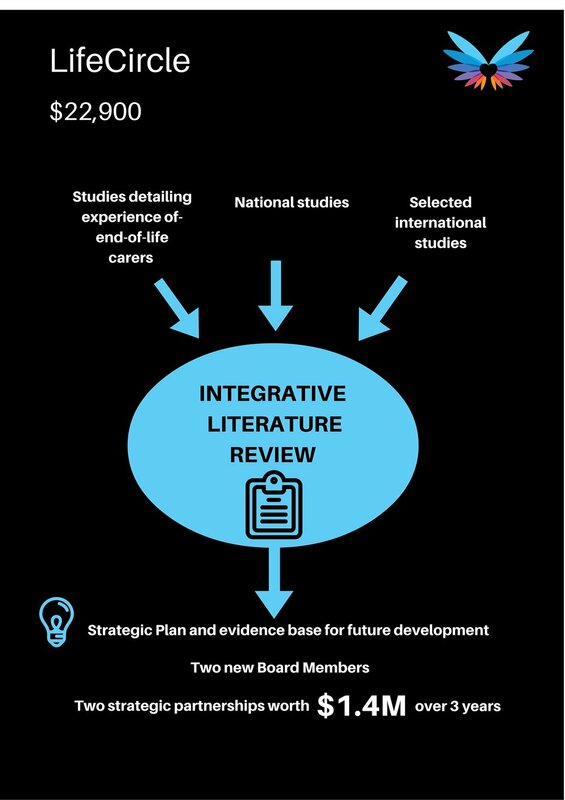 Drawing on significant existing information and studies around the experiences of carers – and coinciding with a formative period for the organisation itself – the project has informed LifeCircle’s new strategic plan, validated Board instincts (placing capacity building for carers at the centre of the organisation’s purpose) and delivered important insights into our needs and wants at the end of a life. For a copy of the report, click here. Armed with this new evidence base for future development, and with absolute confidence in its model and focus, LifeCircle is able to draw on the review to approach new partners/ funders and has already successfully negotiated two strategic partnerships worth more than $1.4 million over 3 years. Learn more about Life Circle.